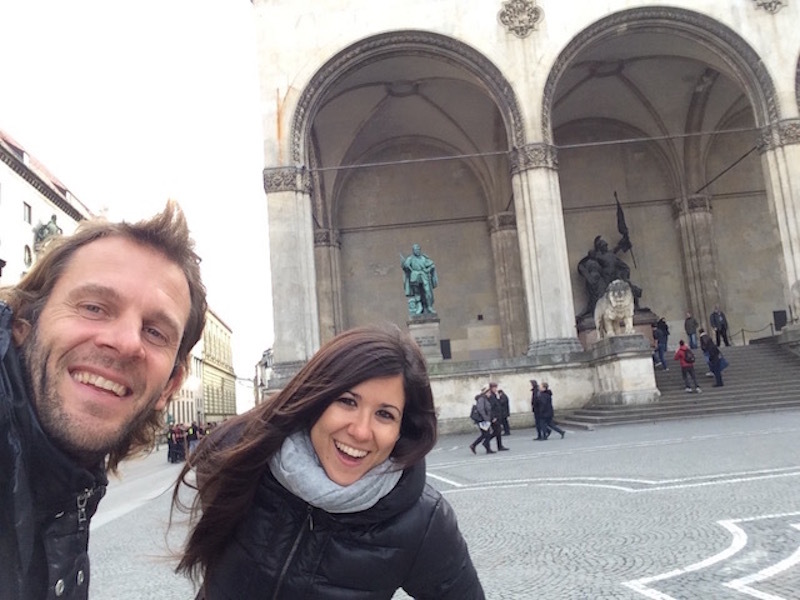 Finally I could show Eva around a bit in Munich and Bavaria. Having seen plenty of places in Spain and many trips to Madrid by now I was always keen to bring her to my home. And like Munich is in Winter we´ve had some pretty cold days, although it behaved better than expected. Catching up with family and friends after months without them is great and you actually appreciate everything more. Besides Munich we did Neuschwanstein, which seems to be way more popular with tourists than Bavarians (not surprising) but hardly anyone I know from Munich has ever been there. Well, it´s pretty and has an amazing vibe but of course plenty of people from all over the place. Concentration Camp Dachau was another thing not many Munich people bother to do: it´s definitly not the happiest place and has a depressing vibe and history but good to see the madness that went down there to be a lesson for everyone. Safe to say this Continent offers so much in history, landscapes, diversity, cultures, amazing people as well as waves. So instead of doing yet another overseas trip I enjoy some self-proclaimed freetime discovering some of these places, visiting friends and taking a little bit of footage along the way.